Ahead of the August 17, 2016 national convention of the Peoples Democratic Party (PDP), leaders and major stakeholders of the party in Kogi State have narrowed their choice of candidate for the position of the party’s National Publicity Secretary to frontline journalist, Hon. Kola Ologbondiyan, and one time zonal Legal Adviser (North-central) of the party, Kabir Usman. Ologbondiyan is former Deputy Editor and former Group Political Editor of THISDAY Newspapers as well as Special Adviser (Media and Publicity) to former Senate President, David Mark. 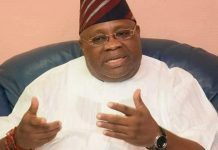 He commands strong acceptability among stakeholders at both the state and national levels as well as in the wide spectrum of the conventional and new media. Usman on the other hand is a lawyer and was North-central Zonal Legal Adviser of the party. 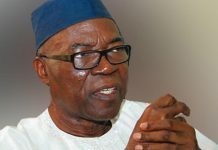 It was gathered that though Usman was former zonal official of the party, the leaders are more inclined towards Ologbondiyan, given his professional background as well as direct participation in PDP mobilisation and government activities at very high levels. This is more so as they judged that Usman as zonal legal adviser does not have direct experience in publicity and image making processes. A source at the meeting of the leaders yesterday hinted that though the leaders have not yet endorsed any of the aspirants, majority of them favour Ologbondiyan principally for his professional expertise, as they insisted on ensuring that the state offered its professional best to the party and the nation at large, knowing the specialised demands of the critical position to national politics. According to the source, “Our leaders have been meeting on this issues and have narrowed on Ologbondiyan and Usman. Both of them are good party men, professionals in their respective fields and have the required carriage and comportment. “Though they have not endorsed any of them yet, many of the leaders are inclined towards Ologbondiyan largely because of his background as a media and publicity expert. You know Ologbondiyan was Deputy Editor and also Political Editor of THISDAY Newspapers. He was also spokesperson and image-maker to a Senate President. He did very well in these assignments. You can’t overlook that. 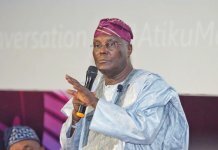 It was gathered that the leaders widened their consultation among very strategic stakeholders within the state to arrive at their decision, which has fast gained acceptability among other stakeholders of the party from other states of the North-central where the position of the National Publicity Secretary has been zoned.